Arsene Wenger’s comments about the referee in the 2-1 defeat against Everton have been mocked by Everton boss Ronald Koeman. The Dutchman has had an impressive record against Wenger since he came to the Premier League. Even with Southampton, Koeman managed to get some impressive results including a 4-0 win. However, he has pointed out that Wenger is a bad loser as he always comes up with other excuses for his teams in the ability to win. 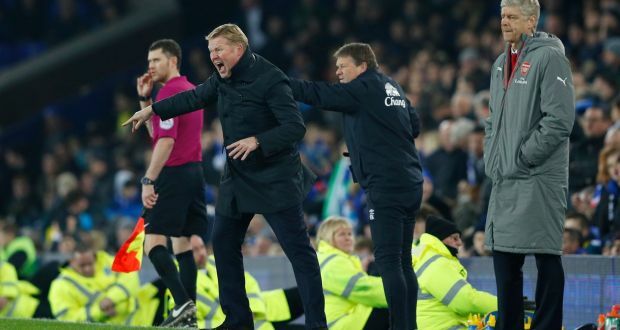 In the cases of the losses against Southampton and Everton, Koeman says that there was a strange consistency with the Frenchman decided to criticise the referee for the inability to win. It seems that Arsenal currently has a team that can allow them to challenge for the title. 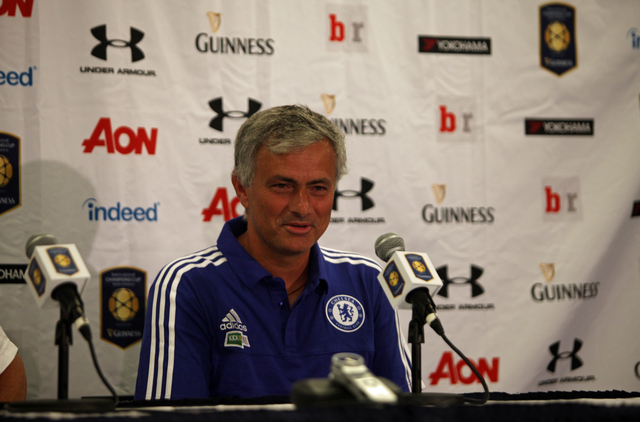 Indeed during recent weeks the team has hit top form and currently winning their games comfortably. New players such as Mustafi and Xhaka have adapted quickly to the pace of the English game and have definitely strengthened the team. Players such as Ozil and Cazorla are also playing well, and this is helping the Gunners win games comfortably. This was particularly true in the game against Chelsea where they have restricted their London rival to only one shot on target in the 84th minute. Cazorla was superb in the center of the park in his deep-lying playmaker role. The Spanish midfielder was not only good in creating openings for his teammates; he was equally good at breaking down the opposition attack. Jack Wilshere has left Arsenal for Bournemouth on a loan until the end of the season. The England international has only recently come back from injury and clearly, lack match fitness. Many pundits believe that the player has taken the right decision, and this should allow him to recover his lost form. Jack Wilshere has missed the whole of last season with some recurring injuries, and it is only in the last weeks of the season that he managed to come back into the Arsenal team. Despite clearly lacking match fitness he was selected for the England national team where he spent the majority of the tournament on the bench. With Arsenal having signed Xhaka in the summer, Wilshere would have found it hard to compete for playing time at the moment, and Arsene Wenger has agreed to allow the midfielder to leave on loan. There were many clubs that were interested in the player among which was Bournemouth and Roma. It is believed that Arsenal blocked the move to Roma because they were disappointed by the way the Italian club deal with them on a previous transfer. Instead, it was Bournemouth who was chosen, and the player has already had a medical with the team. Arsene Wenger was happy with the spirit shown by his players after their 4-0 win over Aston Villa on the final day of the season lifted them into the second spot. They have managed to leapfrog Tottenham in the most remarkable circumstances. After having been challenging for the title until a few weeks ago, Arsenal seemed to be heading for a very disappointing season. Spurs may have missed out on the league title in the last few games, but they were looking to finish above Arsenal for first-time in almost 2 decades. However, Spurs capitulated by losing 5-1 against relegated Newcastle United at St James’s Park. Arsenal kept themselves in the race for the top three after a 1-0 win over Norwich City. This allowed them to take full advantage of Manchester City’s 4-2 loss against Southampton. The gunners now have a three-point advantage over City with two games remaining. More importantly, they can now afford to slip up in the next league match against City, but Manuel Pellegrini’s team can take advantage of their slightly better goal difference. 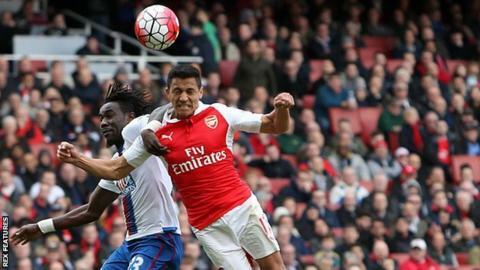 Arsenal’s struggles in front of goal continued in the game against Norwich, who are threatened against relegation. Australia were crowned as the Asian Cup winners in January 2015 and they are rewarded for their excellent performance is the involvement in the FIFA Confederations cup 2017. The event will be the precursor to the World Cup 2018 and it will be held in Russia. Australia’s manager Ange Postecoglou believes that taking part in this competition is a great reward for all those hard work put into winning the Asian Cup. Australia were at crossroads after the World Cup 2014 that saw them fare very poorly against the top teams. They have, however, recovered sufficiently to dominate once again under the management ofPostecoglou. Arsenal defender Hector Bellerin remains supremely confident of reaching the last 16 of the Champions League. They need to overcome Olympiakos by more than two goals in order to have any chance of qualification. The task is made tougher since it will be away from home. If it was at the Emirates stadium, Arsenal would have been seen as favourites to get the two goals and complete the job. As it is in Turkey where the home supporters are fanatical, it does get a lot tougher for the gunners.Bellerin is expected to continue in the right back for the gunners. Arsene Weneger’s 1000th match in charge of Arsenal ended in misery as his side were thumped 6-0 by league leaders Chelsea at Stamford Bridge on Saturday afternoon. Samuel Eto’o put the hosts in front on five minutes, and their advantage was doubled just two minutes later through Andre Schurlle – both goals coming from clinical counter-attacking from Jose Mourinho’s side. Then, on seventeen minutes, the Blues were awarded a penalty after Alex Oxlade-Chamberlain tipped an Eden Hazard shot away with his fingertips. The incident led to a sending off, it was defender Kieran Gibbs who was dismissed after referee Andre Marriner appeared to have mistaken him as the culprit. Hazard duly converted the penalty, before Oscar made it 4-0 three minutes before the break. The Brazil international then scored his second and his sides fifth on sixty-six minutes before substitute Mohamed Salah completed the Gunners’ misery with his first goal for the club five minutes later. The result sees Arsenal slip to fourth place, after both Liverpool and Manchester City beat Cardiff City and Fulham respectively.